What is the definition of Mercury? It is a silver white poisonous metallic element with a mirror-like appearance. It is a liquid at room temperature and used in thermometers, barometers, vapor lamps, and batteries and in chemical pesticides. The Physical and Chemical Properties are the characteristics of a substance, like Mercury, which distinguishes it from any other substance. 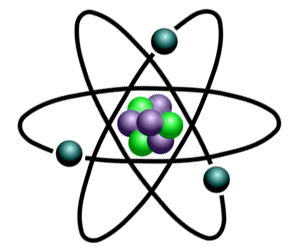 Most common substances, like Mercury, exist as States of Matter as solids, liquids, gases and plasma. Refer to the article on Mercury Element for additional information and facts about this substance. Mercury Properties - What are the Physical Properties of Mercury? What are the Physical Properties of Mercury? The Physical properties of Mercury are the characteristics that can be observed without changing the substance into another substance. Mercury Properties - What are the Chemical Properties of Mercury? Amalgam : Mercury forms a special type of alloy called an amalgam which is an alloy containing mercury. An amalgam of mercury, silver and tin is used in dentistry for filling teeth.